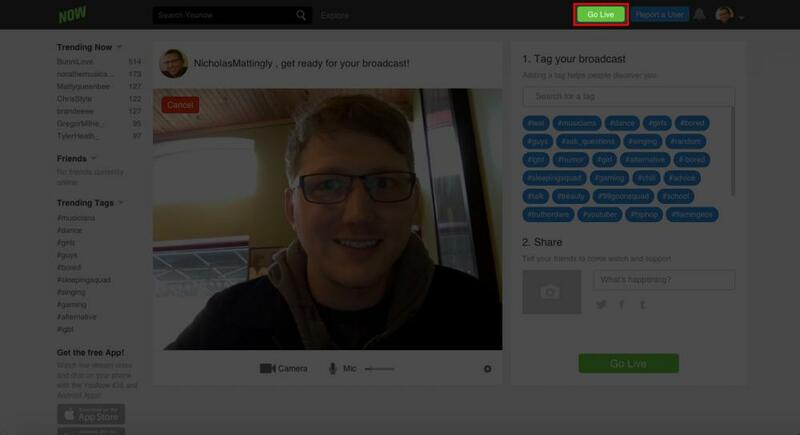 Use Switcher Studio to broadcast to your YouNow account: https://www.younow.com/. 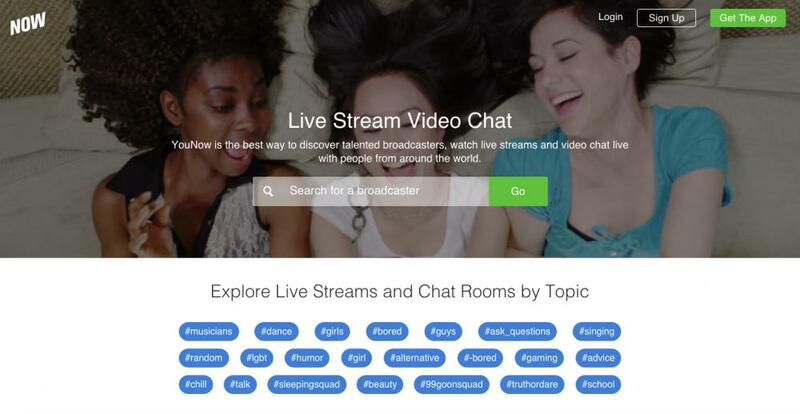 Once you are logged in to YouNow, select "Go Live" in the top right corner. 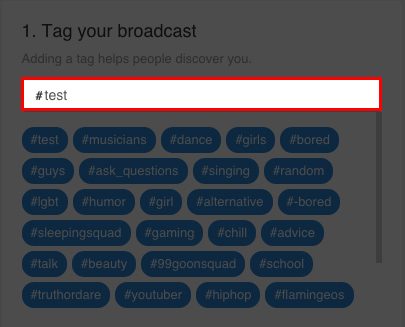 Add a tag for your broadcast. Click the gear icon in the lower right corner of the video player, and select "Use external Streaming Tool". The "Go Live" button will change to say "Generate Stream". Click this button. The RTMP values will appear in the video player. Copy and paste the stream name and the stream URL to the Channel Settings of your Switcher account (see below). Log in to your Switcher Studio dashboard, and create a new channel using the "Custom RTMP" menu. 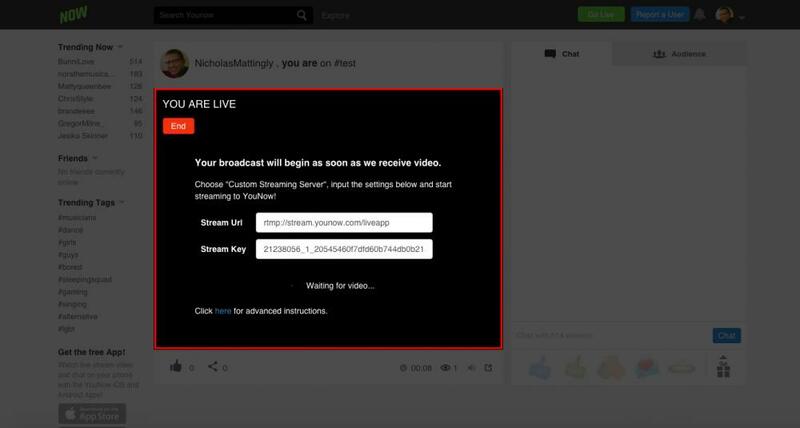 In the "Server URL" field, enter the "RTMP URL" from YouNow. 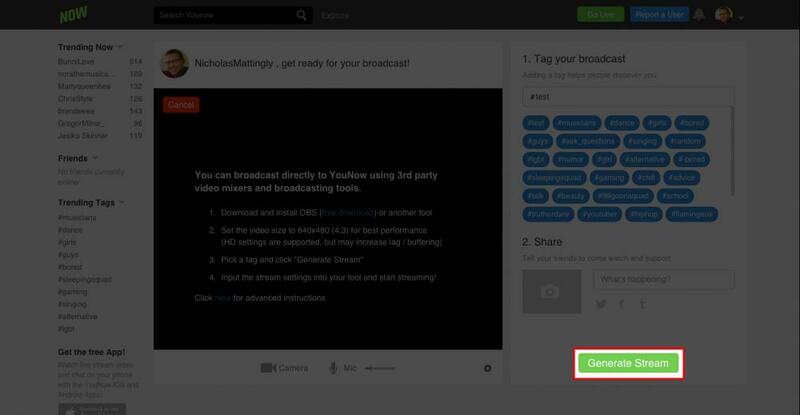 In the "Stream Key/ID" field, paste the value for the "Stream Key" from YouNow. *To optimize your output settings based on your Internet speed, select a preset (Low-Med-High-HD) or create a custom configuration. Select “Custom RTMP”. If it's already selected, tap the "i" button on the right. Swipe down to refresh the list, and select your YouNow channel in the app. You are now ready to stream. Just tap “Rec + Broadcast” to start streaming.